Streaming is increasingly our preferred mode of experiencing recordings. So why are the topics most relevant to the vast majority of musicians – transparency, bargaining power, and compensation – the ones least discussed? For one, there’s a generational divide. Even in the well-publicized furor in response to Pandora’s support for the royalty-slashing Internet Radio Fairness Act in 2012, streaming critics were overwhelmingly older musicians and entrenched industry players. Given to citing long-outmoded industry paradigms, they have little hope of appealing to upstart artists accustomed to dropping new material on SoundCloud. Which is part of the problem: streaming companies take advantage of the fact that generosity – artists’ willingness to upload tracks on a chosen platform – is the online status quo. Accustomed to digital distribution yielding nothing, younger artists don’t even begin to investigate how streaming companies manipulate royalties (Pandora) and subscription apportionment (Spotify) intended for the content creators upon whom those services depend. While researching a recent article about Pandora’s relentless efforts to lessen its royalty obligation, almost every youthful artist I contacted professed total ignorance or tacit acceptance of the standard pittance. Some echoed the company’s own line: “It’s better than nothing” – a miserably defeatist attitude. When workers think so little of themselves, who needs bosses? Not that the plight of musicians is totally comparable to workers. As Mark Richardson listed among his “Three Points Missing from the Streaming Media Debate” piece recently, “art has always been a terrible way to make money.” True, however, upon entering the marketplace with a creative product, artists are entitled to balance a self-determined idea of their work’s worth against what consumers are willing to pay to arrive at a price. That’s the idea. Part of the problem is that musicians in the streaming arena have no such agency; Richardson’s point threatens to shame artists for demanding it. But the streaming enterprises’ most potent and least frequently mentioned tool for placating artists is language. The Silicon Valley-steeped circumlocution of self-styled “technologists” has infected the streaming debate to severe detriment. Often, the terminology neatly avoids contrasting the advantages of companies to those of musicians. When put in the terms of “access vs. ownership,” for example, the dichotomy only accounts for user experience and platform provider. Framed as such, the conversation circumvents streaming companies’ accountability to artists. Part of the problem is that musicians in the streaming arena have no such agency; Richardon’s point threatens to shame artists for demanding it. Aside from that, the shift from accumulating a collection to playing ephemeral tracks through digital platforms is accepted with little pushback. The industry’s march-of-progress conviction anoints the arrival of the access model positive. Even neglecting its exclusion of artists, the assertion deserves more attention. Spotify and Pandora share a sensibility crystallized in Apple. The advertising of Apple – expected to make game-changing inroads in the streaming arena anytime now – advocates an aesthetic of enlightened modern life that’s clutter-free. (In an article for Jacobin this year, Ian Svenonius connected the prevalence of the “Apple ideology” to the popularity of Hoarders, where we revel in disgust at people’s stuff.) How conveniently streaming enables us to discard those pesky records, CDs, and even MP3s is clear. Yet there are woefully few expressions of discomfort in the streaming debate about the proliferation of corporate-mediated listening. “Access” entails the readily tracked and monetized use of services; the tentacles of revenue collection lengthen in inverse proportion to our dearth of tangible belongings. The access agenda asks for consumers’ faith in a product vision. The relics of music listening past are to be cast out in tribute to Spotify. Still, more important than the access trend’s harrowing implications for consumers is the conflict between musicians and the companies devaluing their work. In a recent article by John Seabrook in the New Yorker, the only “rockstar” is Spotify founder Daniel Ek. The ironic dubbing is underscored by the fact that Ek once helmed the piracy platform uTorrent. Though useful in many ways, the article is also a veritable catalog of streaming jargon and techno-triumphalist thought. For instance, the much-parsed difference between “lean-forward” and “lean-back” listeners turns out to be an old distinction between active and passive engagement with music. Likewise, the article gives credence to Ek’s claim that he’s in the “moment space,” and not the “music space,” which apparently refers to the company’s deployment of human and artificial intelligence to design mood-oriented playlists. Every time streaming services recast age-old aspects of music fandom as maverick sociological observations, column inches for criticism dwindle. Near the end of Seabrook’s piece, we at last meet a couple of musicians, Marc Ribot and Rosanne Cash. The build-up characterizes them as stubborn holdouts against the inevitable. Echoing his peers at every startup (most of which will fail), Ek tells Seabrook, “Technology always wins.” Ribot and Cash brandish statements showing paltry earnings from Spotify. Seabrook notes the disparity between the company’s stated benchmark rate and these working artists disclosed spins-to-cash, but the scrutiny ends there. There are woefully few expressions of discomfort in the streaming debate about the proliferation of corporate-mediated listening. Seabrook’s article does highlight crucial facts about how Spotify systematically disadvantages most artists. For one, royalty apportionment privileges already popular artists. Meanwhile, major labels hold Spotify equity (so does the UK-based indie label umbrella organization Merlin.) Clearly, the partnerships don’t incentivize labels to pursue higher per-stream rates for their artists. Sean Parker, Napster cofounder and early Spotify investor, competed with the Ukrainian oligarch Leonard Blavatnik to buy Warner in 2011. Parker ceded the purchase, but only on the condition that Blavatnik steer Warner into terms with Spotify. With that, one of the world’s largest labels isn’t simply partnered with Spotify, but subservient to it. Despite these illuminations, it’s dismaying that the focus on Cash and Ribot – revered artists whose experiences are emblematic of most musicians subjected to opaque, remote dealings that undermine their work’s worth in the digital arena – is sidelined to the unpacking of Ek’s empty lingo. We learn more about tech celeb Sean Parker’s living room than the reasons Ribot and Cash earn less from Spotify than the company claims it pays. But at least Taylor Swift only appears in passing. Swift’s Wall Street Journal op-ed offers no insight into the streaming debate, only untenable platitudes about blood and sweat somehow determining music’ monetary value. Her camp’s decision to opt-out of Spotify is industry hardball, as widely acknowledged, but even with Swift’s actions as a prime news hook, the streaming debate’s focus remained misplaced. We should be looking at the deals that Spotify and Pandora hide; sadly, commentators are even ignoring the more transparent ones. 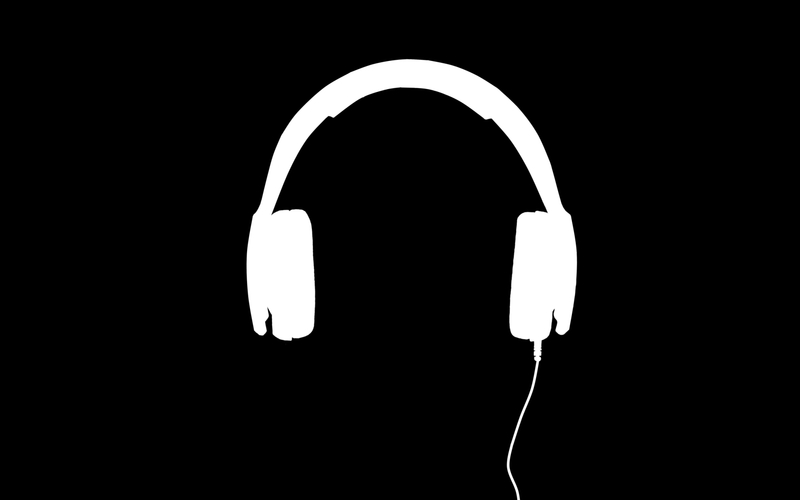 The Copyright Royalty Board, a panel of three Judges responsible for regulating Internet radio, reassesses performance royalty rates for services like Pandora and iHeart Radio every five years. For 2014, the statutory performance royalty rate for commercial webcasters is $0.0023 per-stream. In October, Pandora filed its formal recommendation that the CRB lower the rate to $0.0011 in 2016. iHeart Radio thinks musicians should receive even less: $0.0005 per-stream. Hardly any music media outlets covered the filings. Vacuous parlance, PR stunts masquerading as artist advocacy, and wide-eyed paeans to our tech overseers distract from the least equitable and most relevant conflict: musicians vs. the companies coldly bargaining for their work. Here’s a missed headline: “Pandora Suggests Halving Royalties.” Imagine the righteous indignation clicks.